According to Cape Town-born Executive Producer, Ashraf Johaardien, this year’s Festival will not be based at City Hall. “Part of the ethos of Fringe Festivals across the world has been the creation of platforms and opportunities for artists who have been relegated to the margins. We will have a hub elsewhere in the City Centre but the focus of the 2017 Festival will be on partnering with existing spaces across the Peninsula as well as supporting and nurturing new spaces that have relevance and resonance in the communities where they have emerged. So this year both venues and artists are invited to apply.” he announced. ￼Productions in all genres of performance are eligible for consideration. Preference will be given to smaller and ￼medium-sized works that are able to tour to venues on the new planned Cape Town Fringe circuit. Work should be bold, compelling unconventional, socially aware and relevant. 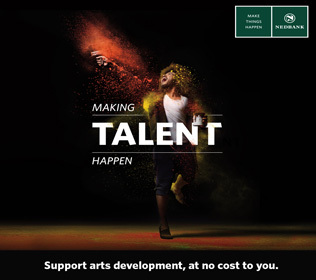 Successful productions will be programmed into venues selected for participation and the Cape Town Fringe team will also work with successful venues to programme from their own networks and/or from the open call for expressions of interest. Cape Town venue owners, production companies, collectives and individual theatre-makers are invited to register expressions of interest online at https://capetownfringe.co.za/2017-applications/. The deadline for submissions is 31 July 2017. The Cape Town Fringe will provide overall Festival marketing and produce the works the selected. For more information please visit: https://capetownfringe.co.za/about/ or send an e-mail to proposals@capetownfringe.co.za.